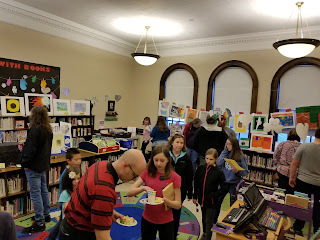 The GFWC Boscobel Woman’s Club welcomed everyone to the 62nd Annual Helen Mears Art Contest Awards and Reception last Friday evening, March 22nd, hosted by the Boscobel Public Library. 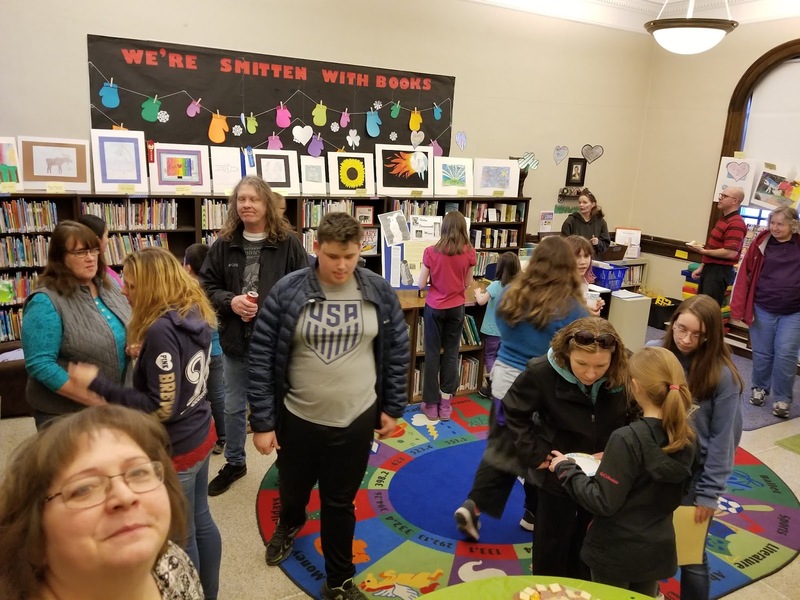 The Woman’s Club sponsors this annual art exhibit and contest for seventh and eighth-grade students each year to encourage the artistic talents of students and to honor the memory of Wisconsin sculptor Helen Farnsworth Mears. 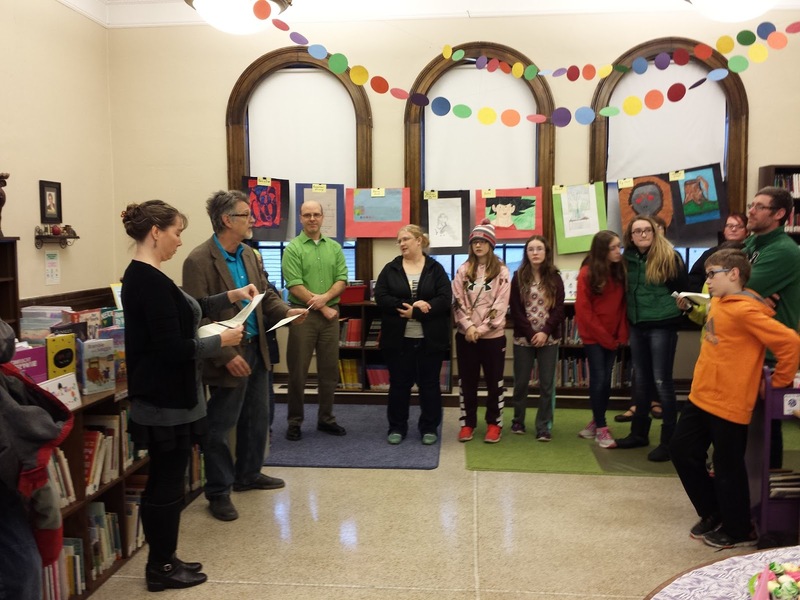 The Mear’s exhibit will remain on display at the Boscobel Public Library through April 12th. Helen Farnsworth Mears, born in Oshkosh in 1872 is still regarded as Wisconsin’s premier sculptor. Her work, “Genius of Wisconsin”, can be found in the Wisconsin state capitol building. Other Mears’ sculptures are included in the permanent collections of the Smithsonian Institute, the National Portrait Gallery in Washington DC and the Metropolitan Museum of Art in New York. Congratulations and thank you to the winners and to all students who participated for sharing their talent with the Boscobel community. Every student’s work is unique and deserving of acknowledgement for the effort and ideas spent in its creation. 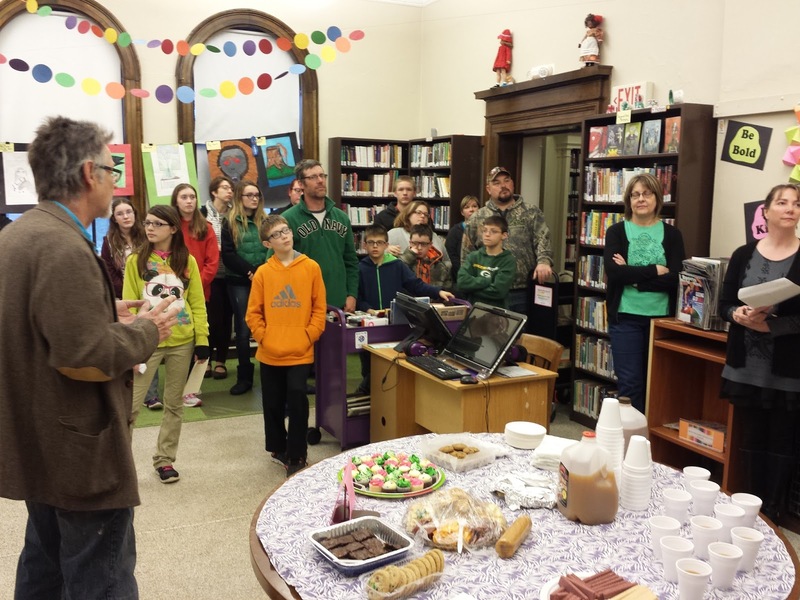 Appreciation is extended to BAS art teacher Ben Johnston for once again inspiring students’ creativity and participation in the Mears’contest, in spite of a challenging winter that resulted in many lost school days. 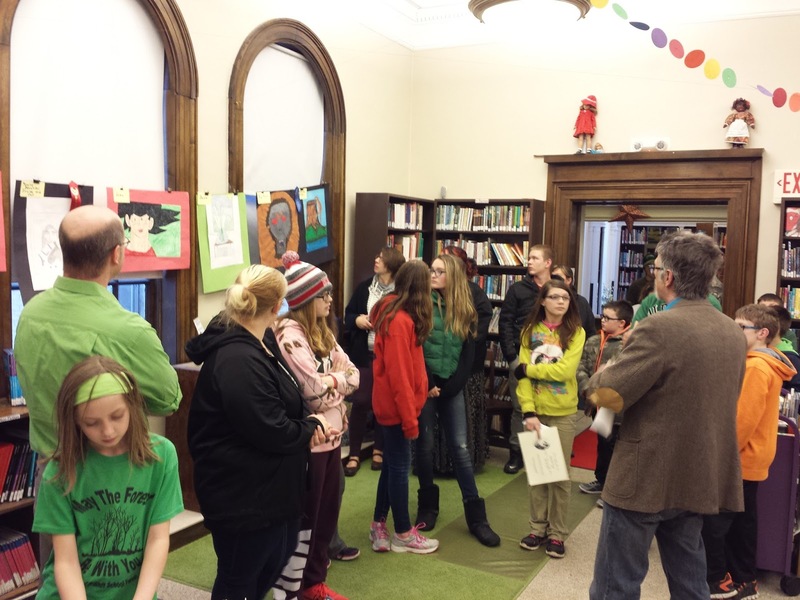 Winning artworks from Boscobel and other schools in SW Wisconsin will now move on to the GFWC District Contest in Dodgeville. This year's contest judge was Boscobel artist and owner/designer at Eternal Monuments Design, Lorinda Larson-Dull. The Woman’s Club would like to thank Lorinda, a past president of the Woman’s Club, for volunteering her time and expertise. Women’s Club members Pat Nelson, MaryLu Cooley, Georgia Beeman and Peggy Baumeister provided a variety of delicious treats and refreshments enjoyed at the reception. 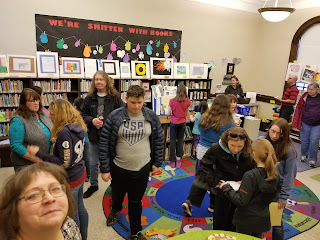 Vice-president Virginia Errthum once again organized the Mears’ exhibit displays and assisted GFWC Arts department member and library director, Robin Orlandi, to ensure the success of the Mears’ contest and exhibit. 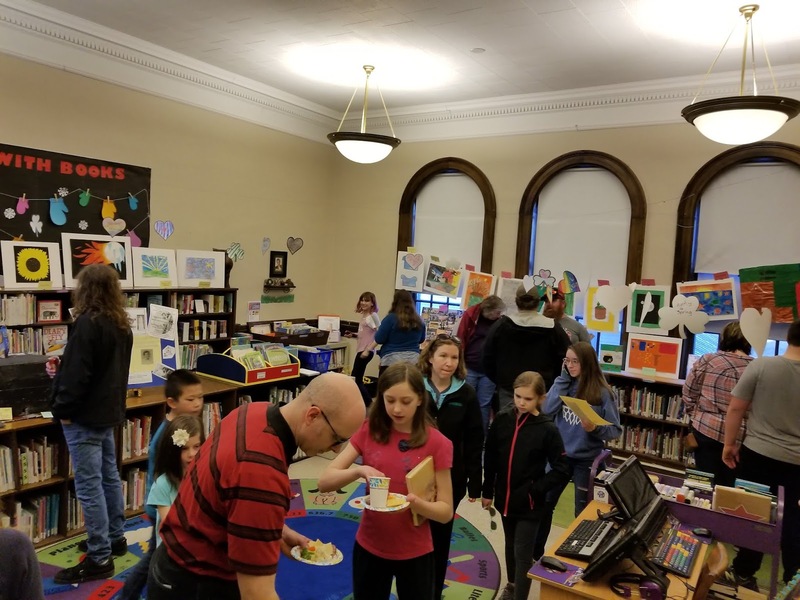 On Friday, March 22nd at 5:30 pm, the Boscobel Public Library would like to invite our community to join local families, teachers and members of the GFWC Boscobel Woman's Club for the opening reception and awards ceremony of the 62nd annual Helen Farnsworth Mears Art Exhibition, hosted at the library. 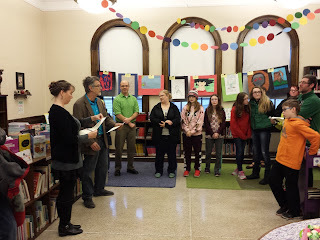 The Woman’s Club is again sponsoring this event showcasing the talents of local middle school students. The annual contest and exhibit is open to all 7th and 8th-grade students from any private, public, parochial or home school. The Mears Art contest is unique to Wisconsin. The goal of the contest is to promote the visual arts within the local community and to offer encouragement to the creative talents of developing artists and students. The student’ artwork will be displayed at the Boscobel Public Library March 22nd thru April 12th. Helen Farnsworth Mears was born in Oshkosh on December 21st, 1872. Helen’s first achievement came t the age of 20. Her clay image of a woman and winged eagle entitled “Genius of Wisconsin” was commissioned for the World’s Columbian Exposition of 1893. She traveled to Chicago to chisel the design into a nine-foot piece of marble; the sculpture now stands in the Wisconsin state capital where it can be viewed. Mears continues to be regarded as Wisconsin’s premier sculptor. Everyone is welcome to attend the awards ceremony and reception, beginning at 5:30 pm on the 22nd. At that time winning entries will be honored for first, second and third place in the categories of painting and sculpture. Honorable mention will also be awarded. This year's contest judge is Boscobel artist, Lorinda Larson-Dull. Refreshments will be served following the ceremony. We hope you will join us for this celebration at the library next Friday to honor the achievements of the young artists of our community. 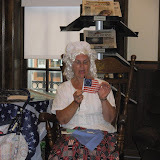 Members of the GFWC Boscobel Woman’s Club would like to extend their appreciation and sincere thanks to area teachers and their students who are participating in the contest and sharing their talents. Every student's entry is unique and creative in its own way and a diverse variety of work, materials, and themes are anticipated. 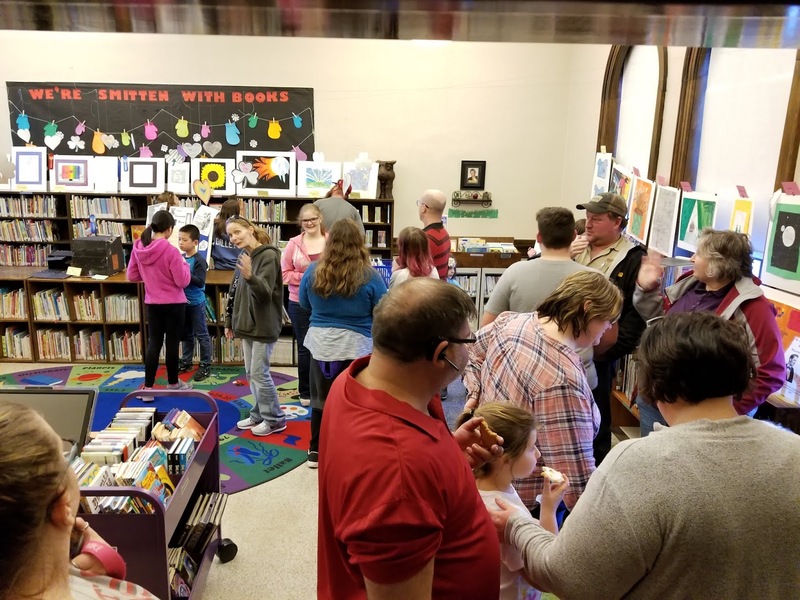 GFWC Officers and Arts Committee members would like to encourage everyone to visit the exhibit during March and April and show your support for local youth. For additional information, please stop by or call the library at 608-375-5723. 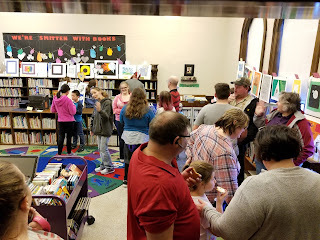 The picture below are some of previous students, teachers and families at the reception, listening to artist John Larsen discuss the students' artwork. We hope to see you @ the library!